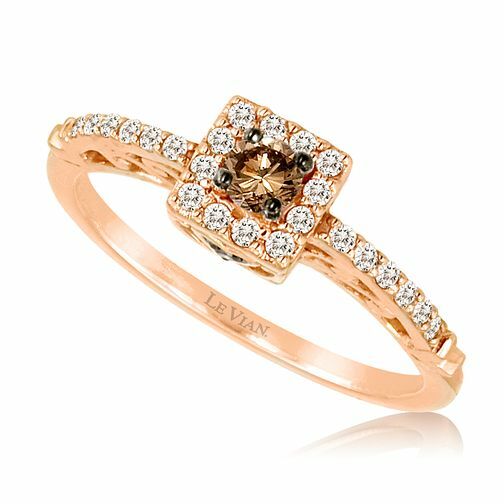 A beautiful 14ct Strawberry Gold ring from luxury jewellers Le Vian. Embellished with radiant Vanilla Diamonds with an opluent Chocolate Diamond stone. Simply stunning.